In a town where the constant, rhythmic hush of the sea is the undertone that fills the day, the Mossel Bay promise is effortlessly kept. 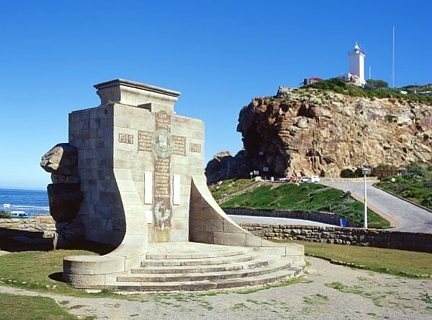 And whilst the sea is without a doubt one of the greatest attractions of Mossel Bay – it’s only one of them. community, cultural attractions – and, of course, miles and miles of clean, white beaches. Who, indeed, would want to hurry – or worry – in Mossel Bay? 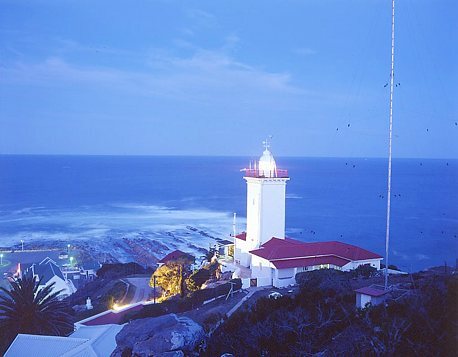 Mossel Bay lies almost in the centre of the Whale Route which stretches from the West Coast to East London in the East. It seems Southern Right whales agree: Mossel Bay has the perfect combination of depth and shelter for romance - and for safe and easy calving. 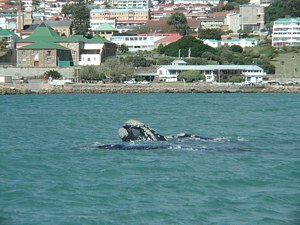 Every year from about May to October whales visit the Bay, often in schools of 10 or more, mostly near Little Brak River. They seek out the safe and calm waters of the Bay during their calving season. The whale cow usually swims around alone until her calf is born, but is sometimes accompanied by one or more female whales believed to act as midwives. They play together and stay in the Bay for about three months for the calves to grow stronger. The males will join the females only after the calves have been weaned, when mating takes place, before they all return to the Antarctic. This island is about 2km from the Harbour and is about l00m long and 50m wide. The Sea Fisheries Department controls the Island and count the seal population from the air at regular intervals. 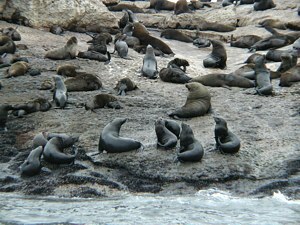 At present there are some 4500 to 5000 seals on the island. No culling is done on this Island any more as the population remains fairly stable due to adult seals moving away to join new colonies. Usual movement is to the West Coast where there is plentiful food. Porpoises are regularly seen in the Bay when they move in long schools past the Point, in mid-afternoon. 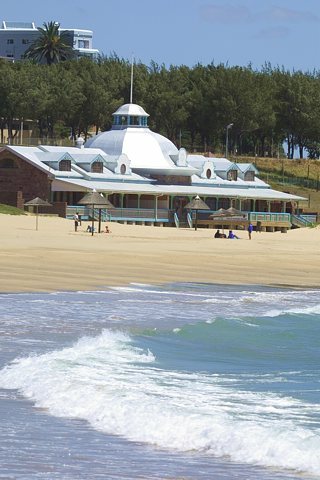 The greater Mossel Bay abound in specialty shops and venues where arts, crafts and a wide variety of exclusive items can be obtained. Follow the Mossel Bay Arts and Craft Route and return home with wonderful gifts for friends and family, or a great memoir of an unforgettable holiday! Start the route inside the Bartolomeu Dias Museum Complex at the museum shop. The age and history of buildings in South Africa cannot and should not be compared to the centuries old buildings in Europe. Southern Africa was the NEW WORLD discovered by the Seafarers and Explorers of the 15th Century. It is against this background that the visitor should look at the age of buildings and towns in South Africa. Mossel Bay is a fairly old town on the South African calendar, and there are many old and interesting buildings here. Many of the old stone buildings were demolished during the 50s and 60s, but the remaining buildings are jealously guarded by the Heritage Society. Adjacent to the Museum Complex is the not-to-be-missed Ochre Barn - the building dating back from the early 18th century when it was first used as a warehouse, then a trading post and later owned by the "African Golden Ochre" Company, who exported ochre from Albertinia via Mossel Bay, to England. It currently houses hidden treasures such as antiques, shells, gemstones, handmade jewelery and exquisite diamonds, leather products and a definite highlight - the Model Ship Company - one of its kind, where replicas of early vessels are handcrafted with meticulous care by local craftsmen. This small double storey rose-coloured stone building is listed as a National Monument. It is believed to have been designed by Sir Herbert Baker and built in l898 as a Joinery Shop. It has been used as a Carpenter Shop, Antique Shop, Art Gallery and several other small business concerns. It now houses a leather goods shop. This giant milkwood tree is estimated to be more than 800 years old and has been declared a National Monument. It is thought to have been underneath this milkwood tree where Pedro d'Ataide left a letter in 1500 in a seaman's boot (or under a stone) for passing ships. Today a replica of a seaman's boot serves as a postbox next to the tree and all letters posted there bear a special Post Tree postmark. This post box marks the site of the first "Post Office" on the African Sub-continent. A Portuguese Padrao, or stone cross, commemorating the padrao planted by Da Gama, was presented to the town in the early 60s, by the Portuguese Government. This Padrao was later moved to the rocky outcrop above Munro's Hoek, clearly visible from the Tree.